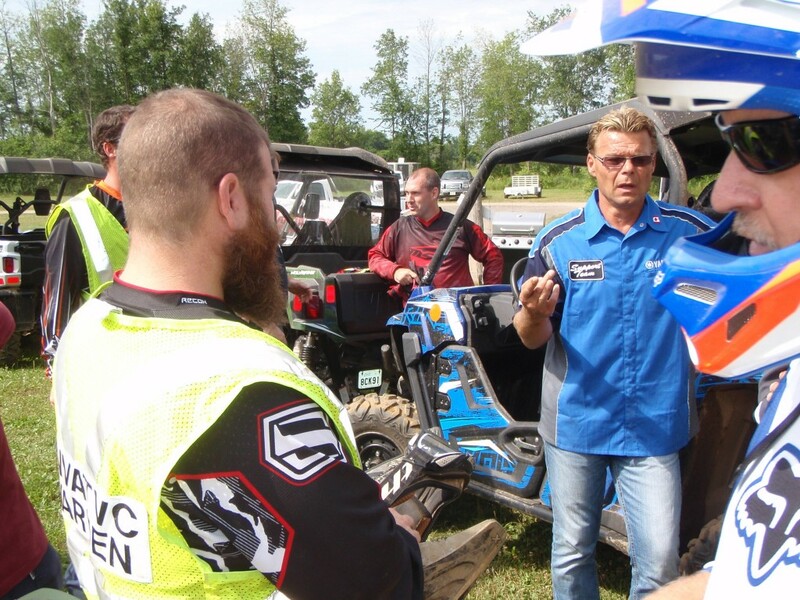 On July 25th, the Nation Valley ATV Club had the opportunity to assist with the Yamaha Conquer Dirt demo day at the San De Lee Motopark in Ottawa, Ontario, sponsored by MX101. 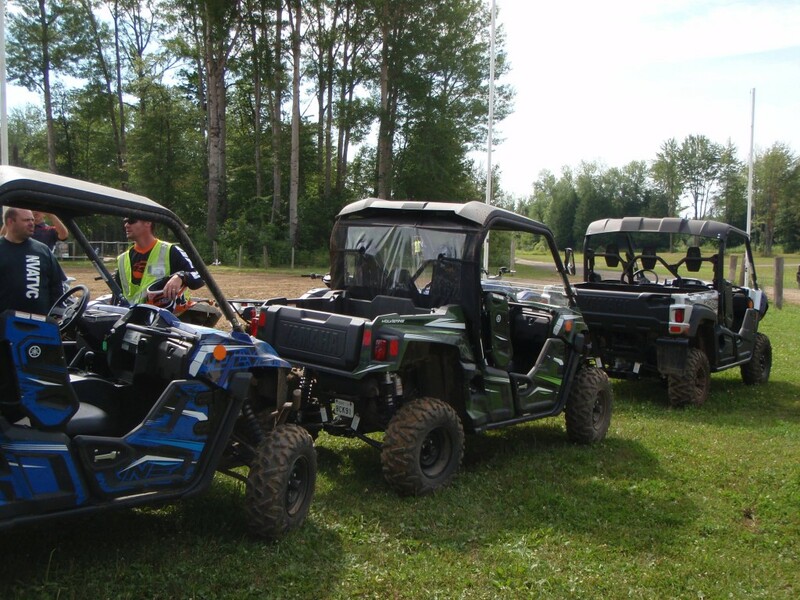 Several of the local dealers were on hand to help promote the event, including Motor Sports World, Powersports Canada, Carleton Place Marine, and Urban Sport. 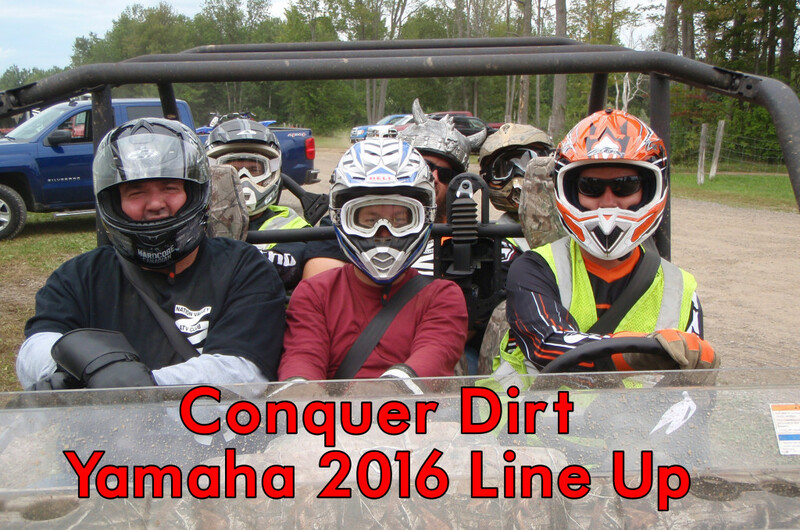 The Nation Valley ATV Club was on hand to volunteer as demo ride leaders and sweepers, and to man a complimentary barbecue for the participants – and most importantly – to be there to test out the 2016 Yamaha line-up! Yamaha had a whole range of machines there on hand to test out, from the basic 2016 Kodiak 700, right up to the Viking VI 6-seater! I took full advantage and tried them all! Now, I won’t lie to you and tell you that I’m a very technical person. I can’t fill you in on all the changes that the 2016 line-up has to offer, but I can give you a layman’s insight on what I beheld! 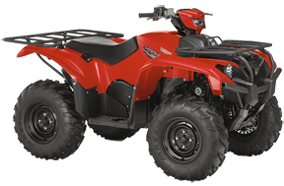 The models start with the Kodiak 700, which is your entry level ATV, with no cluster – meaning no speedometer, fuel gauge, or any of the fancy electronic stuff we have gotten used to over the last decade or so. This is a back-to-basics old-school 80’s-style feel, in a 2016 machine. In other words, this is your standard, multipurpose machine with push-button 4-wheel drive—it rides exactly like what you would expect. The next one I tried was the Kodiak 700 EPS. 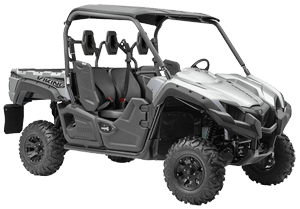 From this level upwards, all of the ATVs come with a work-light mounted on the handlebar, and the standard cluster you’ve grown accustomed to, so you know what is going on. The EPS stands for power steering and it’s the most outstanding feature you’ll find in this machine—the power steering that Yamaha is renowned for. There is also a Kodiak 700 EPS SE that gets you into fancier colours and a few more options. From here we moved up to the big boys, the Grizzly 700’s. The Grizzly line-up starts with the 2016 Grizzly EPS, which is your standard Grizzly, also sporting the new work-light on the handle-bar. The centre handlebar work light comes stock with an incandescent bulb, but the aftermarket guys are already selling the LED upgrade for these suckers. The regular 2-headlight set up each already come with LED lights. The Grizzly is slightly larger than the Kodiak, has a bit more ground clearance, and slightly different frame setup. The Grizzly’s come with 26” tires as opposed to the Kodiak’s 25” tires. 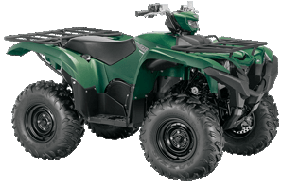 The new Grizzly has the familiar feel that we are used to, but the new 700 cc engine has a bit more snap to it, and the whole setup has a smoother feel, including the power steering. There is also the 2016 Grizzly EPS LE (Limited Edition) has everything we saw in the EPS with snazzier rims and more colour options. Why not add some flare? What I spent most of my time trying out, was the side-by-side lineup. There were several different Wolverines to choose from, including the base model with no power steering, and the EPS models. I tried each of the Wolverines numerous times. The Wolverines had good suspension and handled well on the track. Unfortunately, I am a big fella, and I found with the centre console setup, I was jammed between the door and the console – there wasn’t a lot of leg room for me. So I had to find bigger, and bigger they had! I tried my luck with the Viking 3-seater. Now this was a side-by-side meant for a big fella. No centre console meant lots of leg room (which in other instances would be meant for the third person). Bigger doesn’t always necessarily mean better, as the Wolverine is a smaller side-by-side, it did handle better in the corners and ride smoother than the Viking, but sometimes you have to give a little to get a little! Near the end of the day we put things to the real test! Off to the side there was a Viking VI, used primarily for shuttling the booths and people around in the morning, but we HAD to try it out. We had six “healthy” sized gentleman pile into this monster and take it for a spin around the track. I was pleasantly surprised as there was a lot of beef riding in that machine. We all fit in relatively comfortably, all of the seat belts fit, and we didn’t bottom out the suspension. Now, I can’t lie and say we weren’t stressing the poor machine out, but it was up to the task. We took it around the track three times, and put it through its paces. I wouldn’t say this is the machine for me, but if six guys want to cruise around comfortably, this machine is up to task. 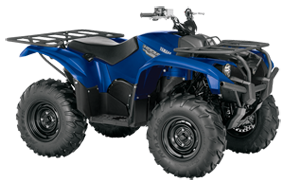 All of the machines handled great, and there was something there for everyone, if you’re in the market for an ATV or a side-by-side, Yamaha has something to offer you. Don’t just take my word for it though, I suggest you get out there to a Conquer Dirt day and try one out for yourself! An avid outdoors enthusiast, Dave is active in hunting, fishing, trapping and ATVing. 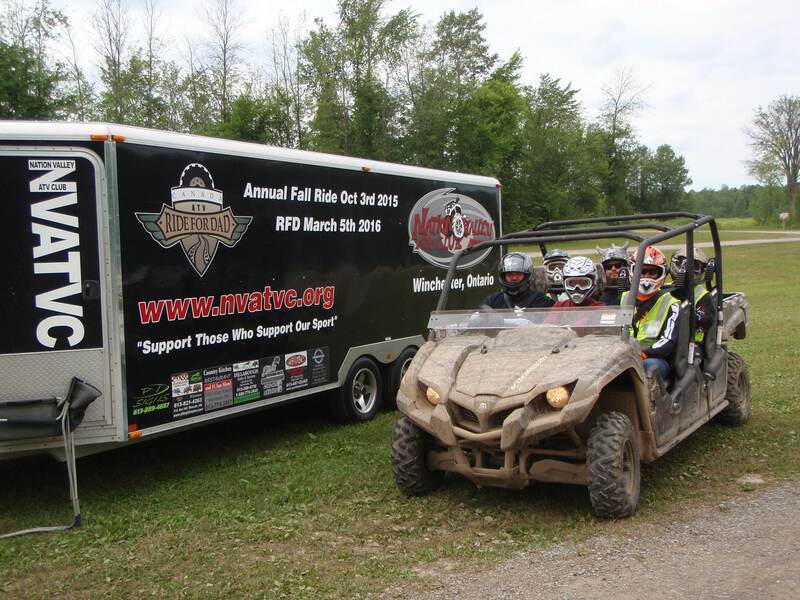 He has been involved with the Nation Valley ATV Club since its inception, and is currently the President of the Club.